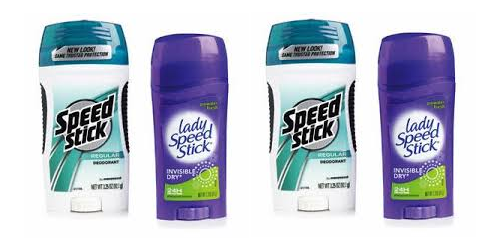 *FOUR* FREE Speed Stick or Lady Speed Stick at CVS After Coupon and ECB! Time to stock up on deodorant? Clip the BOGO Free Speed Stick Men’s or Lady Speed Stick Antiperspirant/Deodorant coupon from the 1/21 Smartsource insert and head to CVS. Speed Stick and Lady Speed Stick is on sale 2 for $5, and you’ll get $5 ECB when you spend $10.00.